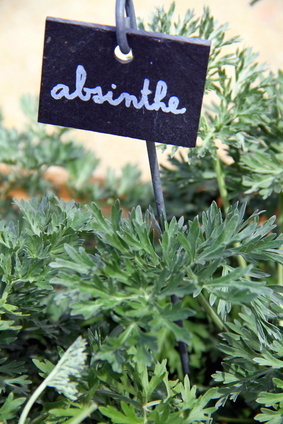 Absinthe is more famous for the liquor that is produced from it than for its many uses in the garden. Nonetheless, it is a spice herb, has many medicinal properties, and is a great repellent in the vegetable patch. Absinthe helps fight against aphids, carrot fly, cabbage moth and flea beetles. Absinthe likes it when the sun shines on it a lot, and fares best in light and well drained soil. If you purchase your absinthe in pots, plan to re-pot it quickly in a larger pot or transplant it directly in the ground after buying. This guarantees that the plant can develop in the best possible environment. Water abundantly and often at the beginning during the 1st year, especially in case of elevated temperature. Absinthe can be sown directly in the soil all spring and summer long. 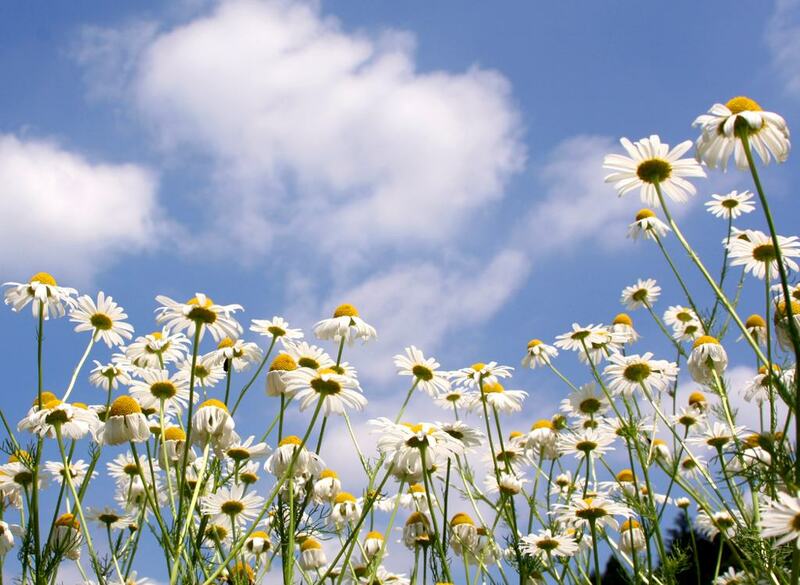 Bury seeds under about ½ to 1 inch (1 to 2 cm) soil mix. Space your rows by 8 inches (20 cm). Water regularly with a fine drizzle until seeds sprout, which can take up to 2 weeks. As soon as the plants have formed 4 or 5 leaves, you can thin to about 8 inches (20 cm) to give the seedlings space to grow. They will have matured within about 2 months after sowing. It is very easy to multiply absinthe by dividing old clumps. You must separate older stems. Transplant immediately and water for quick settling in. 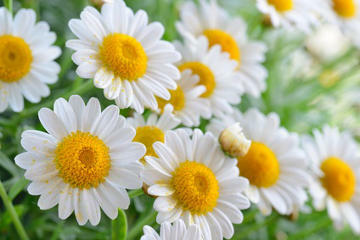 Leaves and flowers can be cut as needs arise until the first frost spells. It is best to snip the stems off one at a time whenever you need some, instead of tearing out a whole bunch. Find and collect the oldest stems. In fall, in order to keep your absinthe for the longest possible span of time, cut it short and keep in frozen in a jar, with the stems and leaves whole. It’s also possible to dry the leaves in a dry place where the air circulates well, crush the leaves and store them in an airtight jar. Absinthe is a herbaceous perennial plant that can grow up to 3 feet (1 meter) tall and that is famous for having given its name to a famous alcohol. 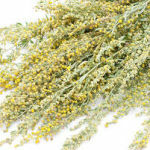 Covered with silvery velvety hairs, it bears cute little yellow flowers all summer long. It is used in the garden for the positive impact it has on the growth of other plants, and also because it is a repellent against certain parasites. For that, it can either be prepared as a fermented tea or simply planted in the middle of the vegetable patch. Absinthe also has medicinal properties and health benefits for the body. It was often used to treat stomach disorders, to fight drowsiness, and also to limit the effect of travel sickness and nausea. First, you must have dried the flowers in the shade. Leaves can be collected at the height of the blooming season. Steep about 1/5th oz (5 g) dried flowers in 1 quart (1 liter) boiling water. Drink 2 to 3 cups of absinthe infusion a day, no more. To regenerate your absinthe, perform crown division in spring every three years, if you can. Absinthe has repellent properties against dog fleas, especially outside the blooming season. A smart tip is to stash a few absinthe leaves in the dog’s basket to serve as a flea repellent.